The SBI Youth for India fellowship works with 8 eminent NGOs as our partners. These NGOs work in diverse program areas across India and have a strong reach in rural communities. Established by His Highness the Aga Khan in 1983, the Aga Khan Rural Support Programme in India Aga Khan Rural Support Programme (India) is a non-denominational, non-government development organization. AKRSP(I) works as a catalyst for the betterment of rural communities by providing direct support to local communities. AKRSP(I) is active in over 2400 villages of Gujarat, Madhya Pradesh and Bihar. It has impacted lives of over 1.5 million people from marginalised sections of society. Over 80% of the households impacted by AKRSP(I)'s work belong to marginalised communities like tribals, dalits, and minorities. Over 60% of beneficiaries are women who form a core group for program interventions. The backbone of AKRSP(I)'s work is the empowerment of rural communities, particularly in underprivileged communities and for women - through collectivization as well as promotion of individual enterprises. Building self-reliant people's institutions for financial inclusion, livelihoods enhancement and improved rural governance is the heart of the organization's approach. 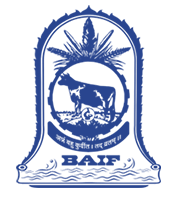 In 1967, Dr. Manibhai Desai, a disciple of Mahatma Gandhi established BAIF Development Research Foundation (formerly registered as Bharatiya Agro Industries Foundation) with an aim to promote sustainable livelihood in Rural India. BAIF has evolved innovative models of micro-enterprises to ensure inclusive development through dairy husbandry, goat rearing, agri-horti-forestry and sustainable agricultural production for food security and poverty alleviation. BAIF today serves over 1 lakh villages in backward regions of 16 states in India. The increased value of the produce generated through BAIF’s activities contributes over Rs.5000 crores to the National GDP each year. Most of these programmes are serving as result demonstrations for wider replication across the country. In 1965 a young post graduate student, Sanjit “Bunker” Roy volunteered to spend the summer working with famine affected people in Palamu District Bihar, now Jharkhand. This experience changed him, and made fighting poverty and inequality his mission. He founded Barefoot College in 1972. 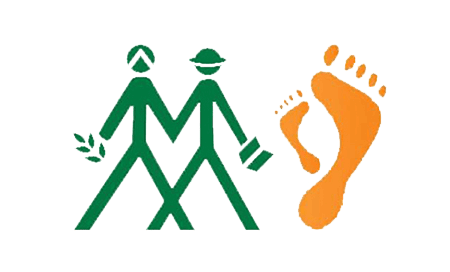 Barefoot College works for the upliftment of rural people in the areas of education, skill development, health, drinking water, women empowerment and electrification through solar power. Due to the efforts of Barefoot College, 450,000 people have solar lights in their houses, 2,800,000 school children have water to drink, 14,000 barefoot teachers are working in government schools and $145,000 was earned by 389 Barefoot craft professionals. 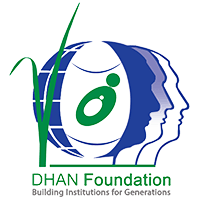 With a mission to build people and institutions for developmental innovations, Development of Humane Action (DHAN) Foundation was founded on October 2, 1997. Its aim is not to serve the poor but to enable them. DHAN works towards reducing poverty through making the communities self-reliant. DHAN facilitates innovation and development of intellectual capabilities by bringing highly motivated, educated young women and men to the development sector. DHAN Foundation runs various programmes for the development of rural sector that covers livelihood, water for irrigation, bridging urban-rural divide through Information and Communication Technology (ICT), Coastal Conservation and Livelihood Programme (Initiated to carry on relief work after 2004 tsunami), making rain fed farming viable and developing tourism for development. Building women’s self-help groups and their federations and enabling them for community ownership and sustainability are key elements of the approach. Over 40,618 primary groups at village/slum level covering more than 609,139 families have been promoted across India and the groups have been networked into more than 209 federations. 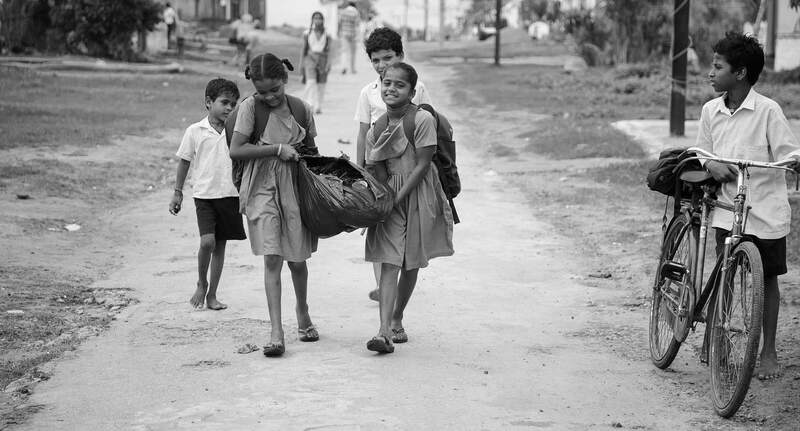 In 1970, when student volunteers with the Young Students’ Movement for Development came to Orissa to serve victims of a devastating cyclone, they didn’t know that transforming lives will become their way of life. Gram Vikas was founded in 1979 under the inspirational leadership of Joe Madiath. Gram Vikas partners with rural communities to address their critical needs for safe drinking water, sanitation, health, education, livelihoods and alternate energy in a manner that is sustainable, socially inclusive, gender equitable and empowering. Gram Vikas is credited with impacting 70,000 families in 1200 villages (between the period of 1992 to 2016). Since 2004, Gram Vikas strategized it’s approach – MANTRA (Movement and Action Network for Transformation of Rural Areas), which defines the strategic orientation that Gram Vikas has chosen to adopt, seeking to unify the parallel approaches being followed in the Integrated Tribal Development Programme (ITDP) and the Rural Health and Environment Programme (RHEP). It is an approach towards holistic and integrated rural development in different states across India and a few countries in Africa. Seva Mandir was founded by Dr. M.S. Mehta in 1966 with a mission to make real the idea of a society consisting of free and equal citizens who are able to come together to solve the problems that affect them in their particular contexts. It currently works with over 3,60,000 people across 700 villages of southern Rajasthan. For over 45 years, Seva Mandir has worked in partnership with the village residents not only to improve their material well-being, but to build stronger and more ethical communities. Through its programs on governance, health, education, sustainable use of natural resources, women’s empowerment, youth development, child care and social enterprise, Seva Mandir makes a tangible and transformative impact. 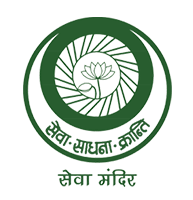 RGVN AR 2016-17Established in April 1990 Rashtriya Gramin Vikas Nidhi, popularly known by its acronym RGVN was established as an autonomous, non-profit organization / non-government organization (NGO) registered under the Society's Registration Act of 1860 and headquartered in Guwahati, Assam. RGVN's founding sponsor, IFCI Ltd., provided the initial set-up support and with time IDBI, NABARD and Tata Social Welfare Trust (TSWT) became its sponsors. In 2010, RGVN's CSP programme was hived off to form RGVN (NE) MF Ltd. which is now the NESFB.